Naama Barash (Sivan Noam Shimon) doesn’t have it easy. Her parents are constantly fighting, her sister, who is in the army, disappears and the only thing that gives her respite is to hang out with her friends, getting drunk and high. But then there’s a new girl in school: Dana (Hadas Jade Sakori). Dana is exciting and new and seems invulnerable and Naama finds herself falling in love quickly and confusingly. Barash is a sweet coming-of-age film that doesn’t quite work as well as it could and should have. Nevertheless, I enjoyed it. Barash struggles with two things mostly: at times it is a little too clichéd and could have done with a little more complexity. Maybe the attempt to include a larger political perspective was just that – but unfortunately that part was the second struggle because that perspective feels forced into the film and doesn’t really want to fit with the rest. It also felt much longer than it was and just didn’t manage to really pick me up and take me along for the ride, so it became a rather bumpy affair that didn’t carry the emotional oomph first love under difficult circumstances could carry. I missed that. But the film was very decently acted by the two young women, had a great soundtrack and the ending had the necessary dose of positivity to feel good (even though it’s not a classic happy ending). Most of these things have probably to do with the fact that it’s Vinik’s first film. When she makes her next, I’ll be glad to check it out and I’m pretty sure that at least some of the kinks will be ironed out by then (and new ones acquired). Barash is definitely good enough to make many promises of what’s to come. Both for the filmmaker and the characters. Summarizing: Nice, but not quite there yet. 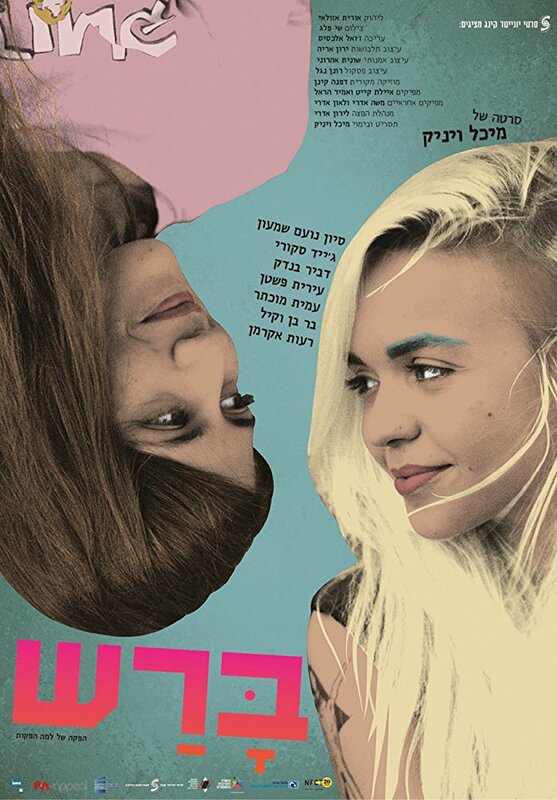 This entry was posted in female director, female writer, movies and tagged 2015, Amit Muchtar, Bar Ben Vakil, Barash, Blush, Dvir Benedek, Hadas Jade Sakori, identities Festival, Irit Pashtan, Michal Vinik, Sivan Noam Shimon by kalafudra. Bookmark the permalink.